Can Microsoft Catch Up in the Tablet Market? "Microsoft is attempting to galvanize its remaining troops in its attempt to create a little relevance for itself in the iPad industry, introducing a range of marketing products to help them remind any customers who care to listen that its Slate PCs could be contenders in the tablet space too. 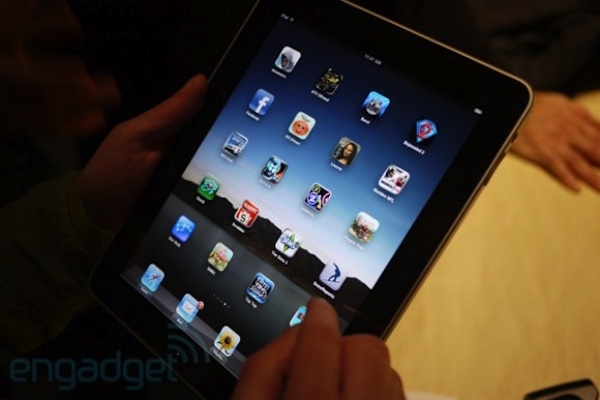 Even while the iPad 2.0 looms closer each day." At this point in time, it's hard to imagine Microsoft, or anybody else for that matter, catching up with Apple's lead in the tablet/slate market. I think one huge mistake Microsoft is making is using Windows 7 on their tablets. Putting a desktop OS on tablet devices has been done before, and it failed in the consumer market. Personally, I'd like to see some real competition for the iPad because it would encourage Apple to work harder to make the iPad the best tablet out there. Right now, it seems likes it's the only tablet out there. I hope HP does something amazing with WebOS. Do you think anyone has a chance to penetrate this market?